When considering investing in a franchise, doing research is a wise course of action. One thing to look for as you research franchises is the level of risk and how it relates to the expected return on your investment. 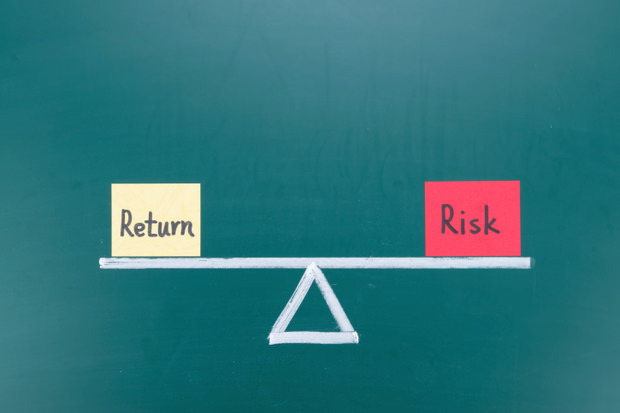 The generally accepted guidelines of franchising suggest that a lower level of risk leads to a lower return, and conversely, a higher risk gives the potential for a greater return. Considering the level of risk you feel comfortable taking can help you make an informed decision about what franchise to buy. A lower risk franchise has several characteristics that make it attractive to potential buyers, according to the Financial Times Press. Low risk franchises will be from established parent companies and will have a track record of success, possibly even existing in the same location previously. Nearly all locations of that franchise will be known to be profitable, and the franchisor will offer extensive training and support services to franchisees. The franchise will be #1 in market share for their type, and will have multiple company owned locations near its headquarters with a successful national marketing program. The low risk of such successful franchises ensures that franchisors can charge top dollar for their licenses, which is why the return on investment is typically lower than for other franchises. Although there are greater costs, which seem to add risk, it is far easier to turn a profit with these franchises, which makes them more attractive to buyers. Higher risk franchises are usually newer, without the market share of their low risk counterparts. Although most of their locations are still profitable and they are near the top in market share, they don't have the training and support that low risk franchises offer. Although they offer lower start-up costs and license fees, this is only an advantage if they gain popularity and market share during the licensing period. High risk franchises may pay off big for franchisees, but they may also fail, leaving the investor in the red. What makes a high risk franchise worth buying? That question can only be answered by carefully considering your motivations for buying a franchise as well as what you can afford to invest. One factor that should push buyers into the lower risk category is their experience level with franchises and similar businesses. The support and training offered by lower risk franchisors is invaluable when you've never had a franchise before. For those who have run successful businesses previously, such training and support is less necessary. Another factor in the level of acceptable risk is the extent to which you are depending on the return from the franchise to support yourself and your family. If the franchise income is not really needed, then it makes sense to take a greater risk with that money in order to gain a potentially higher return. Franchise Gator offers thousands of franchise opportunities for all levels of risk and return, from Low Cost Franchises that may offer larger profits to Top Franchises that may give a surer rate of return.